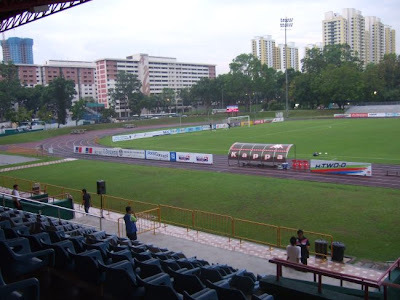 Almost lost my way to Clementi Stadium yesterday, as this is the only FOURTH time I been to this ground (even though, the last time I was here was barely few weeks ago!). 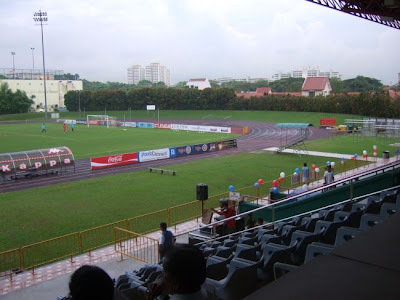 This ground is the temporary home for Home United whose Bishan ground is currently under renovation for the upcoming Youth Games. 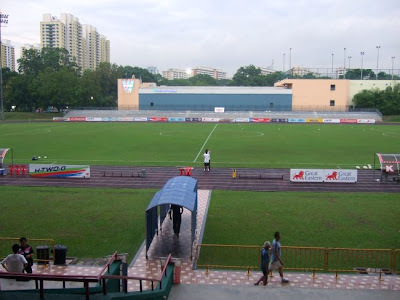 Don't have any fond memory of this ground as the last time I was here for a competitive game between no-longer-existing Clementi Khalsa and not-sure-coming-back Jurong FC, I saw one of the most boring games in my entire life! 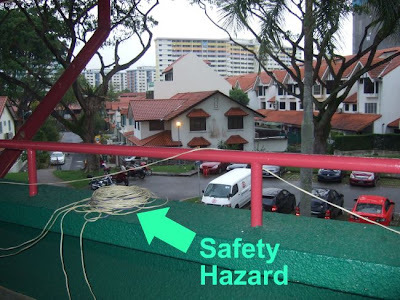 Why, it seems that both teams then had forgotten that the main objective of the game is to score goals but instead were most interested to get the ball out of play for throw-in. And the sorry sight was the unappreciative half-time performance by the Clementi cheerleaders. rezal hassan likes to playactin.. btw great midefield mastery of perez + shahril ishak + norikazu. Home United tried hard to break Woodlands and also able to do so in the second half but fair credit to Rams for holding them till the end of first half..